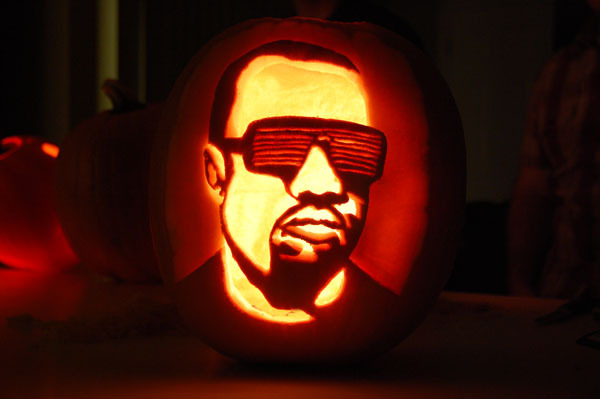 Kanye West's the kind of guy who's not averse to throwing some shade occasionally, but this masterfully carved silhouette's the best kind, if you ask us. It's Radiohead's iconic Modified Bear, finally depicted in bright shades of orange! 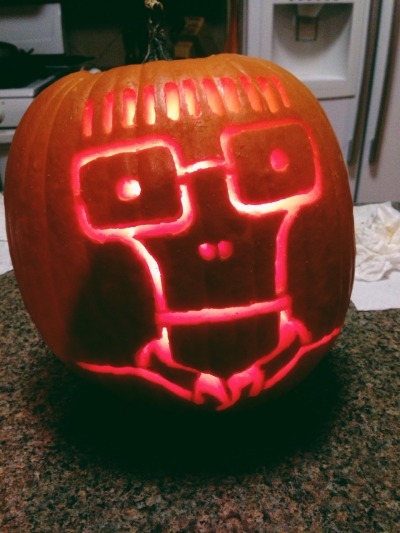 Descendents' mascot Milo graduates from college and becomes... a pumpkin? 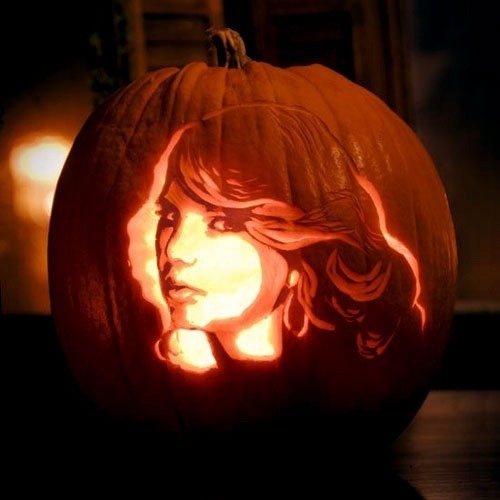 Taylor Swift is unavoidable in 2013. In this picture she has assumed her pumpkin form to JUDGE YOU. 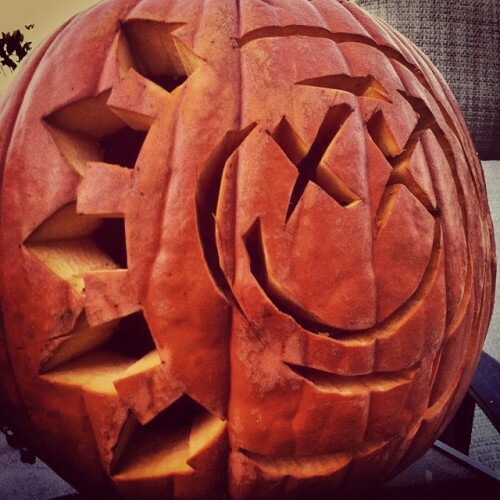 An impressively accurate tribute to Blink 182's self-titled album. 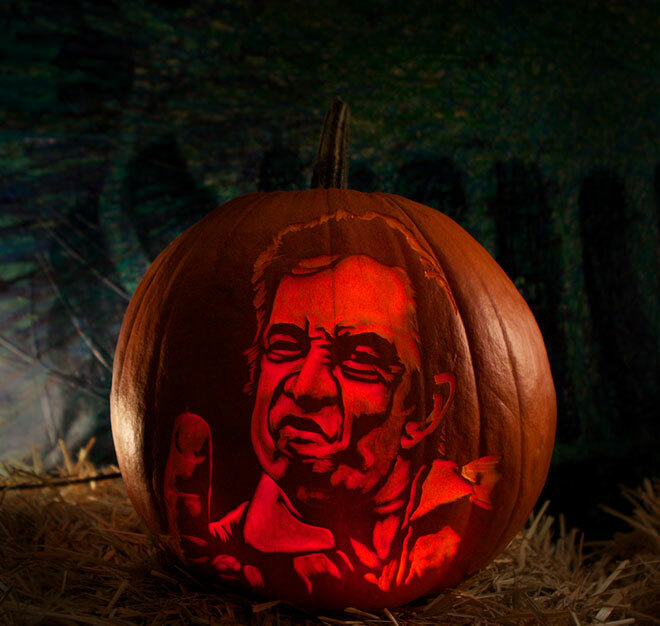 The legendary Johnny Cash, flipping the bird from beyond the grave (and inside the pumpkin). 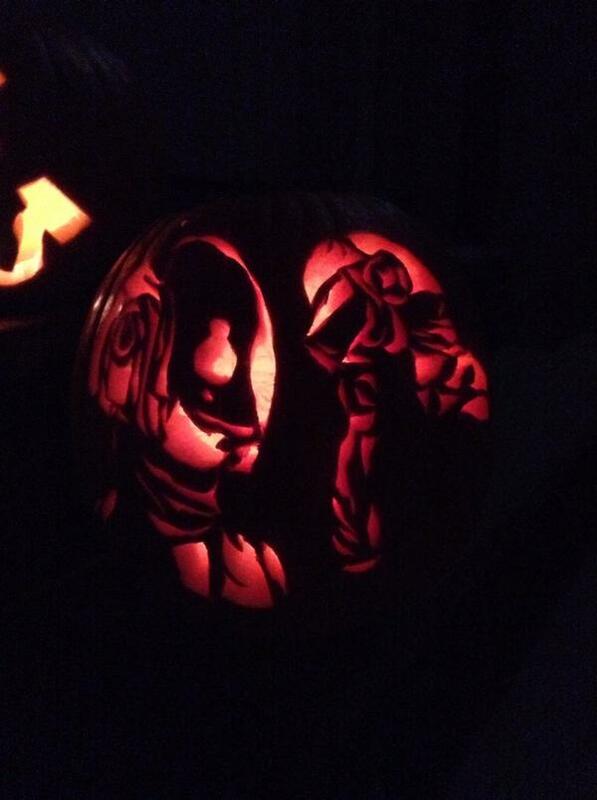 The robots of Daft Punk, Guy-Manuel de Homem-Christo and Thomas Bangalter, here represented in carved fruit form. 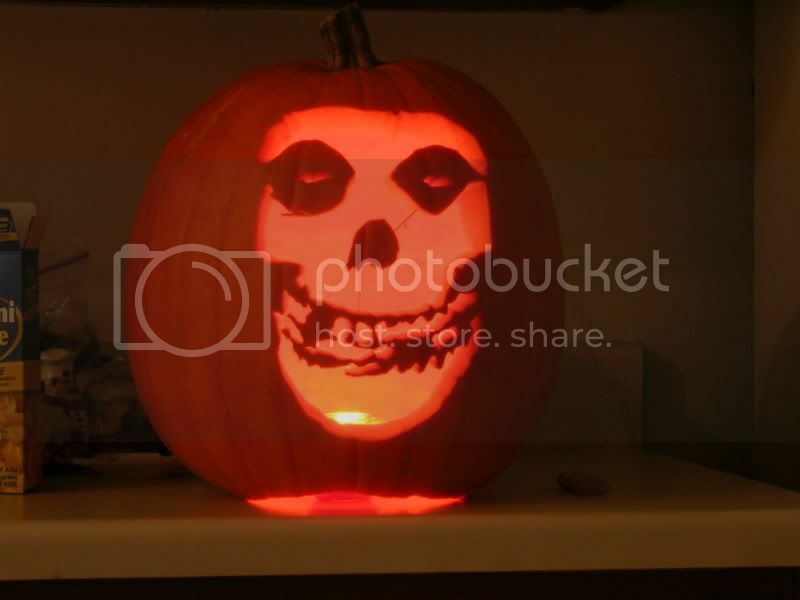 The knife embedded deep in the skull, er, skin of this Slayer pumpkin is a nice touch. 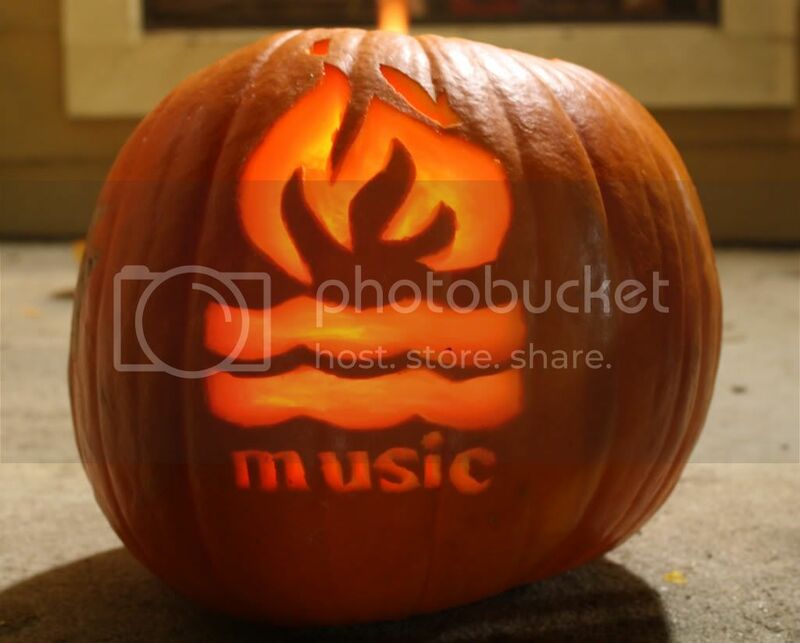 Bob Dylan, trying to work out why his guitar sounds so muffled inside this pumpkin. Hot Water Music? 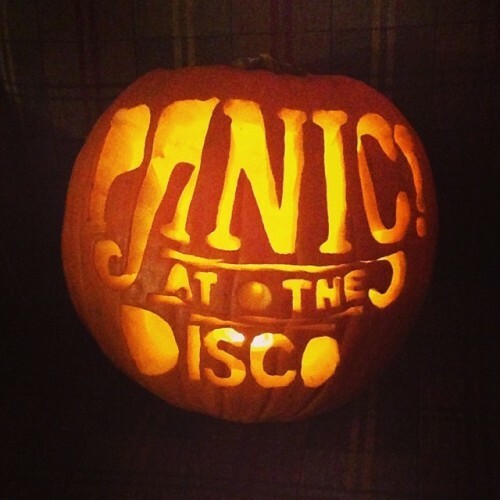 More like Hot Water Pumpkin! More like... Actually, let's just stick with Hot Water Music. 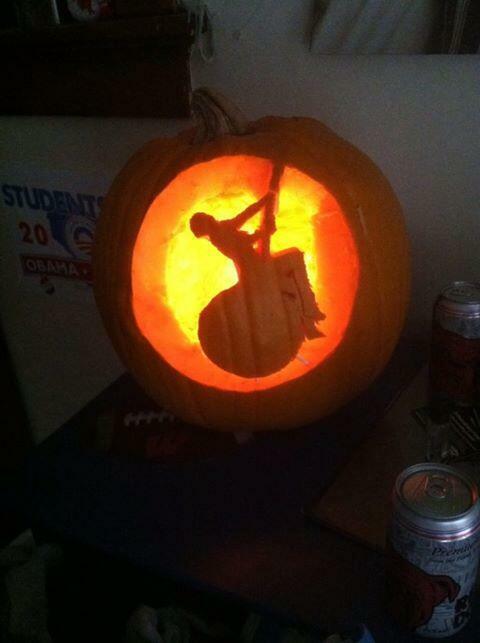 "I came in like an orange gourd" - Miley Cyrus' Halloween-themed #1 hit, Orange Gourd. Following The Beatles Rock Band and The Beatles Monopoly, it's... 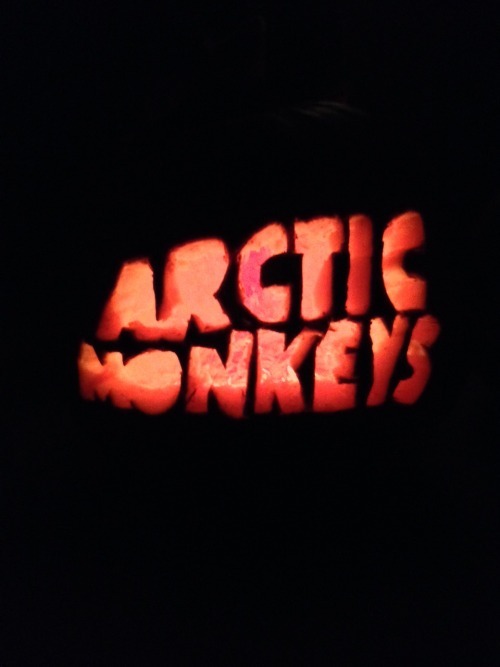 The Beatles Pumpkin!